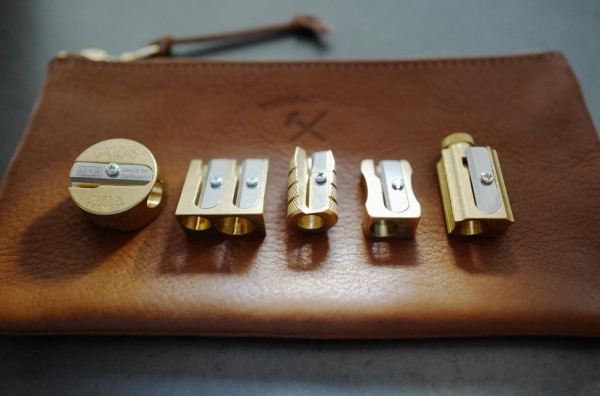 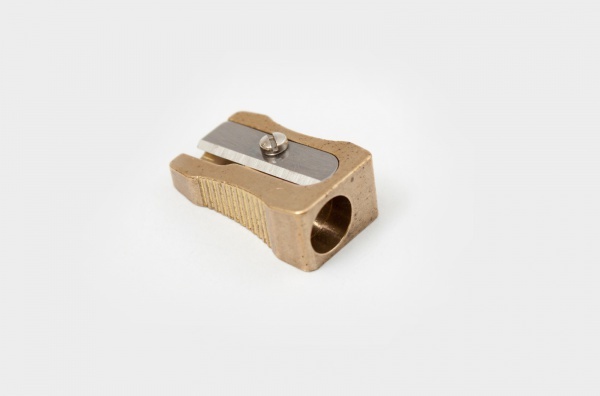 Brass Wedge Single Sharperner - A reassuringly solid and weighty sharpener for standard sized pencils with a simplistic aesthetic. 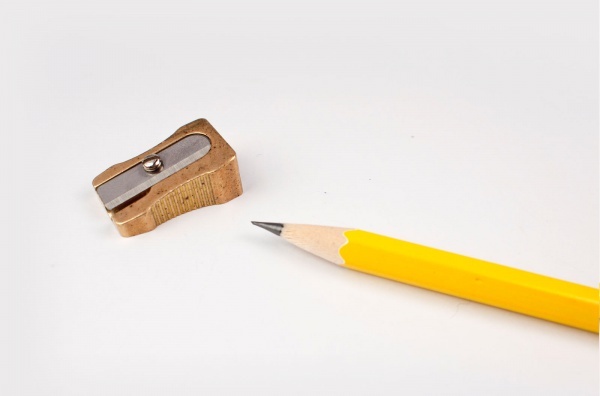 Made from brass and featuring a stainless steel blade, this sharpener for life makes the job of keeping pencils in fine working points a breeze. 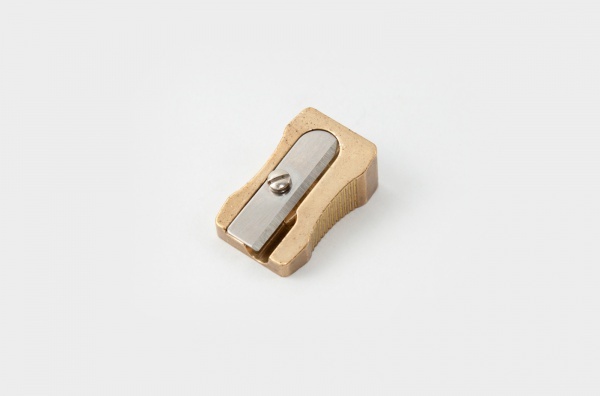 It's normal to have scratches and black dots on this handmade brass sharpener; however, we suggest buyer to shop in store if seeking the perfect quality product. 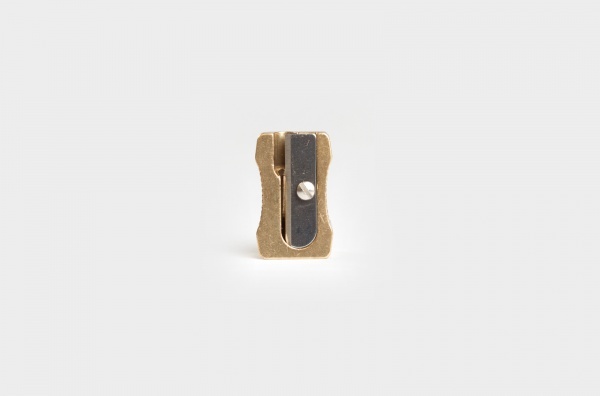 ＊Korea is out of the delivery area for this item.